Ever since Camp Fire broke out, firefighters and aid workers have been working night and day to stop it. 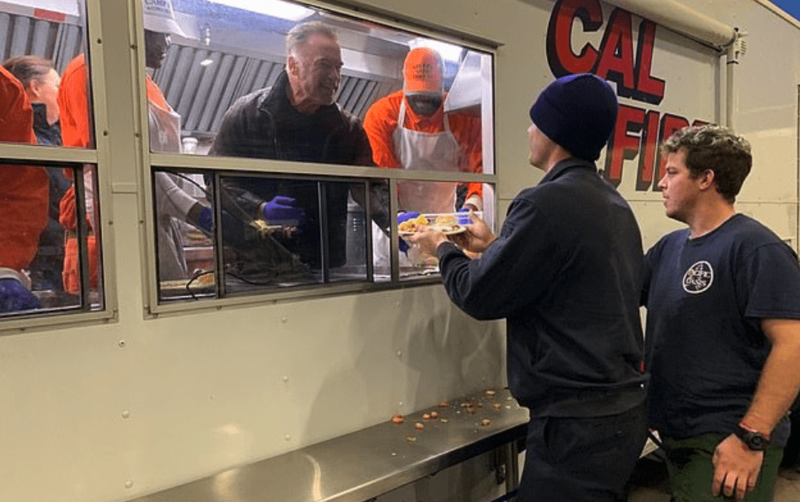 To say thank you for this effort, they received a very special visitor in Chico, California, who arrived to bring them breakfast in a food truck. On Wednesday, Arnold Schwarzenegger did his part in showing these brave people that they are not alone. The 71-year-old visited Chico, California to see the destruction caused by the worst fire in the state’s history. 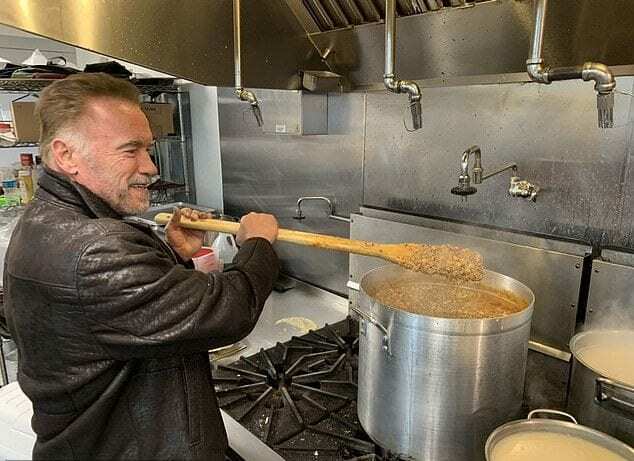 Arnold could be seen beaming with pride as he gave out plates of food. He posted a video on Twitter where he is seen with a USA hat in front of a building scorched by the flames. He spoke of how the community was brought together in solitude in the wake of the devastation. Camp Fire, named after Camp Creek Road where it originated, broke out November 8, 2018. Since then, it has claimed the lives of at least 81 people, but only about a dozen have been publicly identified. Besides the lives lost, over 13,000 homes were destroyed. These numbers grow by the day. The town of Paradise, home to 27,000, was completely destroyed. Aid workers are looking for human remains in the scorched area affected by the fire. The fire is still blazing but is said to be 80% under control. What has come to be the most destructive wildfire in U.S. history is responsible for billions of dollars in damage. Hundreds are still unaccounted for.